It’s ok to have to take a break. Sometimes, that’s exactly what is needed to come back with a renewed vigor and intensity to see the goal achieved. I think the only way to maintain that type of intensity over the long term is to set smaller milestone goals along the way. If you increment your milestones to smaller achievements, it will help motivate you as you hit them. Getting one balance below $10k is something worth celebrating, then getting your overall debt below $120k is the next achievement. Substitute whatever numbers but the idea is simple: Keep setting smaller goals that you can hit regularly. That will keep your focus off the big picture so that every once in a while when you stand back and look at the bigger picture you’ll be quite amazed and satisfied, and will likely maintain your intensity. I think it is a question of priorities! If it is important to pay down debt, you will do everything possible to do it. Was it necessary to do all these things? Probably not, but he thought it was. It was his highest priority. I don’t think you can compare the two situations. He is young, single and made steps that don’t seem reasonable to you (like cashing out his retirement). He also only had to live this way for 7 months. You have lived this way for 7 months, and at the current rate, are looking at having to live this way for another 35 months. I think gazelle intensity is great at the beginning, or when you have very short term goals- when there’s a time limit to be put on the intensity. 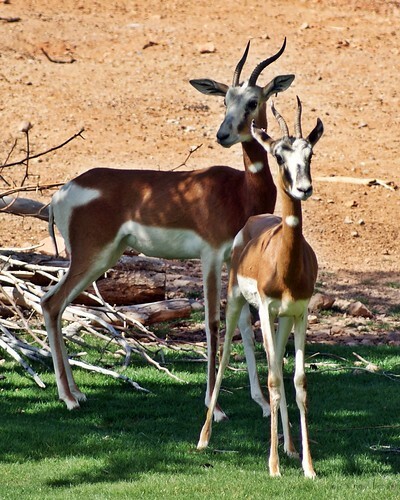 But gazelle intensity is not meant to be, nor should it become, your new normal. And at the time frame you are looking at, you’re looking for a new normal. Personally, I think you’d be best served by building a little wiggle room into your budget. Have a line item for eating out or allowances. If you don’t use it, great, send it to debt, but if you do, it was budgeted for, guilt free. Otherwise, you face the same issues the yo-yo dieters do. You fall off the wagon, hard. And then you either decide to stay off wagon, or you get back on an even more intense wagon and make less progress before you’re falling back off. Find yourself a sustainable new normal. It will make everything easier, and honestly, at this point, how is 38 more months much different from 35? It can be so hard to maintain your intensity but you were observant and figured out that you were losing some of it. I bet most people would eventually go back to their old ways and barely notice so kudos for figuring it out. Just remember how good it is going to feel when all of your debt is gone and all of that extra cash flow you will have the option of doing what you want with. Eventually everyone gets debt-fatigue, I’m there right now. I think as long as we recognize that its happening and don’t let it all go it doesn’t have to be a bad thing. I agree with Money Beagle: setting short term goals with rewards at the end can make gazelle intensity more bearable. When I was training for a marathon last year, I had to do this for myself or I would have lost focus. I treated myself to mini races, shorter runs, a day off from running, new sports clothing, ice cream and other treats — whatever would keep me going. The same can be done with paying down debt — short bursts of gazelle intensity broken up by a period of time relaxing, like treating yourself to $200 in dinners out one month, can help make the intense periods more bearable. You’re still on track; just think of May as your treat month and think of June as your renewed Gazelle period! What Joe did is obviously not for everyone – first, it assumes a certain income level, then I think it would be nearly impossible to do if you had dependents. That said… I know what you mean about losing focus. My husband and I have loosened up the reins a bit too much this month as well. When we were paying off smaller debts (less than 10,000) and clearing debts every few months, it was a lot easier to stay focused. We have about $6,000 left on a student loan and then two huge debts to go, each around $47,000. We have about 2 years to go before we are debt free but staying motivated it really hard sometimes. We just keep thinking off all the things we can do once we are done. It’s hard but keep at it!